We only have so many planets in our system to study before we get bored. One thousand years. That is the minimum length of time it would take us to get to the nearest star — Proxima Centauri — using current methods. But since we discovered that this star houses a potentially habitable planet, scientists have been more enthusiastic about the idea of interstellar travel than ever before. Still, the 4.2 light-years that stretch between us and Proxima Centauri represent a daunting distance for space explorers. It may take us a while to come up with those solutions. So we asked Futurism readers when they thought the first human will leave our solar system. Hornbostel is right about the many plans countries and companies alike are pursuing to put humans on Mars in the next 10 to 15 years. He is also correct that many researchers are working toward the creation of new technologies to shoot our spacecrafts faster through space — and experts have some predictions where those are concerned. Some space enthusiasts are optimistic about our chances of interstellar voyaging, arguing that — if we put our noses to the grindstone, like, right now — we could reach Proxima Centauri by 2100. Others, like Marcus Young, a researcher at the U.S. Air Force Research Lab, have a more dim view of that possibility. He told attendees at 2008 Joint Propulsion Conference that his team had not found any viable options for interstellar travel. But Young also argued that scientists should continue to study the problems posed by interstellar travel, and they have. There are a number of ideas for how we could finally escape our solar system, including fusion rockets, which are being perused by a NASA-funded company. However, radiation from these would probably be too toxic to carry humans. We could also use solar sails and give them some extra oomph by pointing lasers at them. This is the approach Breakthrough Starshot is taking, but its goals are just to send a small probe to the Centauri system, not a manned ship. And even if you were able to get a spacecraft to go 10 or even 20 percent of the speed of light, you still have the problem of preventing hull damage from space particles. You would also have to devise ways to slow down once you got to the Centauri system, which SpaceX founder Elon Musk pointed out in an interview with Aeon. 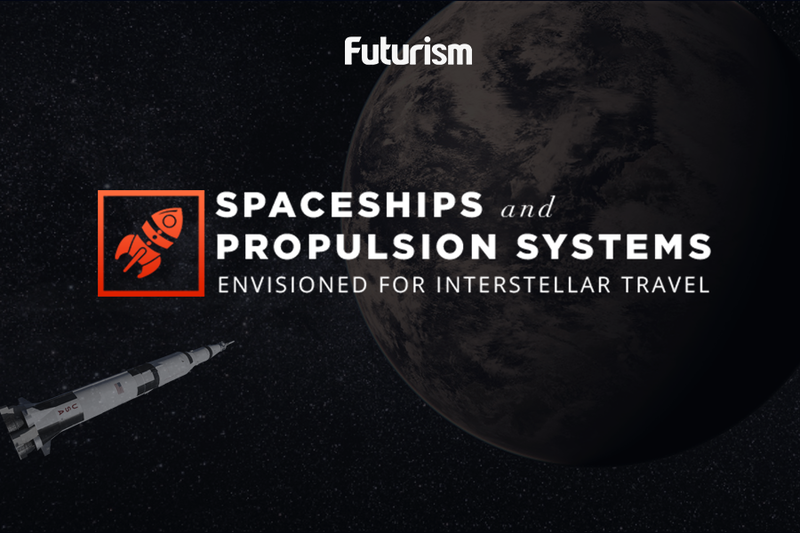 Musk believes that interstellar travel is ultimately doable, but an impractical goal at this stage. “If we’re going to have any chance of sending stuff to other star systems, we need to be laser-focused on becoming a multi-planet civilization. That’s the next step,” Musk said in the interview. And, if he is right, space enthusiasts have a reason to be hopeful, because a Mars colony may be just a few years away.